Reviews for readers - Welcome to my column where each month I’ll take a book from the shelf to share. Every now and then, if you’re lucky, you find a book that stops you in your tracks – a piece of writing that works its way into those far corners of your heart and mind, leaving you reeling. 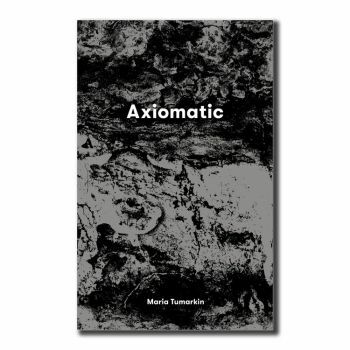 Maria Tumarkin’s Axiomatic is this and more. After a run of non-fiction reviews I had every intention this month to write about a novel – to return to the expansive imaginative realm of fiction. Yet on reading Tumarkin’s Axiomatic, one is left with the overwhelming desire to talk about it and to share it as a way of making sense of its impact. Axiomatic is a collection of open-ended essays/reflections in five parts – each interrogating the veracity of an axiom: ‘time heals all wounds’, ‘those who forget the past are condemned to repeat it’, ‘history repeats itself’, ‘give me a child before the age of seven and I will show you the woman’ and ‘you can’t enter the same river twice’. Written over eight years and based on many shifting iterations and false starts, it feels like Tumarkin’s life’s work. Grappling with the complexities and paradoxes of things taken to be true, Tumarkin seeks out those with experience: social workers, midwifes, judges, teachers and Holocaust survivors. Through observation, editorial, snippets of conversation and textual references she layers, questions, challenges and condemns. Topics range from suicide, grief, injustice, parenting, adolescence, to friendship and failure. What emerges is a work about the inadequacies of storytelling, history or psychology to fully grasp human life. How better to speak of our aliveness? I recently heard Tumarkin explain in a radio interview that writing in English as her second language is her asset, allowing her to excavate and deploy language in ways not available to native speakers. It is indeed unique. Hers is a style of writing that is sharp, daring, electric – sentences bare of pretence, yet deployed with immense artistry. This is nonfiction in the vein of Helen Garner but more cutting, more implicating. In the aftermath of Darwin Festival season there may now be time again for reading. If I can recommend one book to you this year, perhaps ever – this is it. Axiomatic is a masterful work, breathtaking in its scope, bravery and intelligence.